Plantar warts are small growths which occur over the plantar surface of your feet (soles). They occur mainly in the weight-bearing areas of the foot. Plantar warts are common in children and young adults, especially in individuals who walk barefoot and in people who have a week immune system. Human papillomavirus (HPV) is the cause of plantar warts. When the virus gets in through a cut or damaged skin, it multiplies within to form plantar warts. Sometimes inward growths can lead to callus formation. People often search for the best way to get rid of warts but most warts will go away even without treatment after 1-2 years. However new warts can appear nearby. You may want to get rid of them especially if you are cosmetically concerned or they disturb your day to day activities such as difficulty in walking and standing due to pain and tenderness. Plantar warts are not a serious health issue. You can let them be especially if they are asymptomatic as they are usually harmless. Even without treatment, they will heal spontaneously with time. Sometimes removal of them by yourself can cause more harm than letting it stay, especially if you do not remove it properly, so planter wart removal by yourself needs doctor consultation. The best way to get rid of warts is to try some of these home remedies, making sure that surrounding normal skin does not get damaged by your attempts. Damage to the skin can lead to infection. Home pedicures – Immerse your feet in a basin of warm water with a little shampoo. Leave for 10 -15 minutes. Gently smooth the surface of the wart with a pumice stone or emery board. Always keep separate tools for warts. After soaking the wart apply duct tape over it and leave a few days. Once removal of the tape can rub off the wart which is softened with a pumice stone. Repeat same procedure twice a week until wart is totally removed. If home remedies were not successful, there are products available over the counter which can be used to apply over warts every day or weekly (depending on the instructions given), to remove the wart layer by layer. It may take time to totally remove the wart, so one needs to be patient. 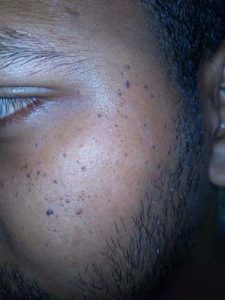 Application of topical solutions containing 0.5-30% Salicylic acid – Salicylic acid is keratolytic which removes dead skin. 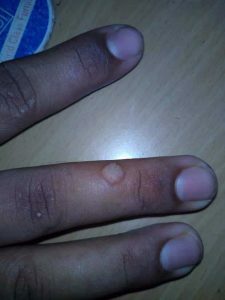 Use of TCA (Tri-chloro acetic acid) to burn the lesion – This is a strong acid which burns the wart and kills the virus. So caution should be taken to apply it only over the wart. You may need the help of another person if difficult to apply it by yourself. Whatever the topical product you select, make sure that you comply with the instructions. When the medication is applied continuously the wart will die and the dead tissue can be peeled off within 1-2 months. However, if the normal skin is burnt, there is possible damage to skin leading to infection. Pain relief – when there is pain an OTC product like acetaminophen (Tylenol), ibuprofen or aspirin can be tried. Be cautious about the dose and frequency of administration. The pain medication can be continued even for pain following wart removal. What can go wrong while trying out home remedies and OTC treatment? How to take care during and after treatment? When plantar warts cause pain and tenderness which interrupts your day to day activities, walking, standing etc. If you are a diabetic – as diabetics have a loss or reduced sensation over feet, feet should be looked after well to prevent gangrene (dead tissue) or chronic non-healing ulcers. What are the techniques which a doctor will use for wart removal? A doctor will use one or a combination of the following treatment options. Stronger peeling medications – Salicylic acid with a stronger strength (50-60%) can be prescribed. This will remove layers of the wart more effectively as it is stronger. Even this should be applied repeatedly to get rid of the whole wart and it takes time. Freezing the wart with Cryo therapy – The doctor will apply liquid Nitrogen to the wart. This burns and freezes the wart and forms a blister. With time the blister sloughs off along with dead tissue of the wart. May have to repeat the procedure twice a week, until all warts are removed. Sometimes paring the wart with a scalpel is done before applying liquid nitrogen for better results. This method is painful. If the doctor is not careful, can accidentally burn the surrounding normal skin. Depending on the burn, if blisters are deep, one can end up with discolored skin and scarring. Due to pain, this method is best avoided in children. Trichloroacetic acid (TCA) – A stronger strength of TCA can be used by the doctor to apply on the wart. A wooden toothpick is used for this procedure. The wart will be burned due to the acid. Cons – This treatment should be repeated weekly for a month or so for successful wart removal. The person can feel stinging and burning sensation. Surgery – Depending on the size of the wart the doctor will decide on surgery. Although it is a minor surgery, it will leave a scar. Cons – May have pain during and after the procedure even with local anesthesia. A scar is left as a mark. LASER treatment – The LASER rays are used to burn and cauterize the blood vessels and tissues of the wart. Once the tissue is dead, it falls off eventually. The doctor can arrange cleaning and dressing of your ulcer, prescribe a course of oral antibiotics if necessary. Plantar warts are difficult to eliminate. Even after successful removal, they can recur. As warts have a tendency to recur, it is best to try these methods in order to prevent getting them again. Avoid walking barefoot- Using footwear is advised when walking in common areas like swimming pools or locker rooms. If you have plantar warts do not touch them often. If touched wash hands well with soap and water to prevent spread. HPV vaccine – The vaccine is not proven effective yet, although it can be tried. However, the strains of HPV causing the plantar warts are not covered by the vaccine. Are you looking for the best way to get rid of warts? Look no further than Tibot, our app-enabled with AI technology instantly analyze your skin condition to provide you with the most probable skin condition. Download our app now.